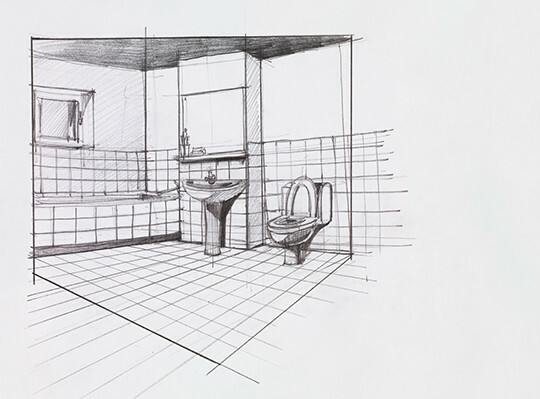 Spending some extra time planning your bathroom layout can pay off in the end. 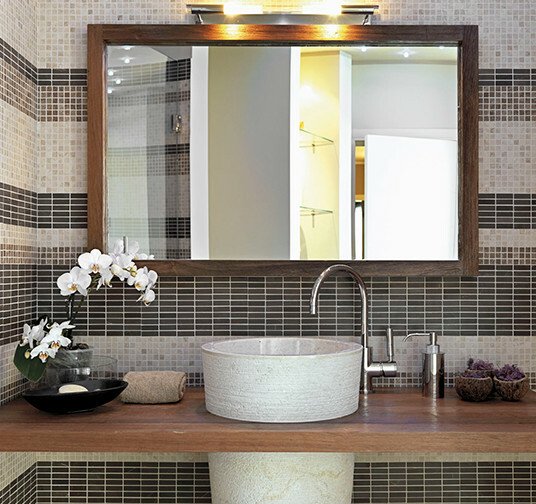 Maximizing space and proper placement of fixtures can make a bathroom more than just a place to bathe. Much like a kitchen, several aspects need to be taken into consideration: space layout, plumbing, countertops, safety, seating and storage. These guidelines have been provided by the National Kitchen and Bath Association. These guidelines were developed to help designers with good planning practices that consider the typical needs of users. A committee of experts in kitchen design reviewed lifestyle and design trends and model building code requirements to assure the guidelines promote the health, safety and welfare of consumers. One general consideration for bathroomplanning is to be sure to consider entry doors and what direction they swing. The clear opening of a doorway should be a minimum of 32” wide which requires a 2’10” door. Doors should not interfere with other doors or objects like cabinets or appliances. If space is an issue, consider using a bi-fold door or pocket doors. This is a simple item to plan for, but a costly item to replace if changed after the completion of the project! Another important consideration is ceiling height. 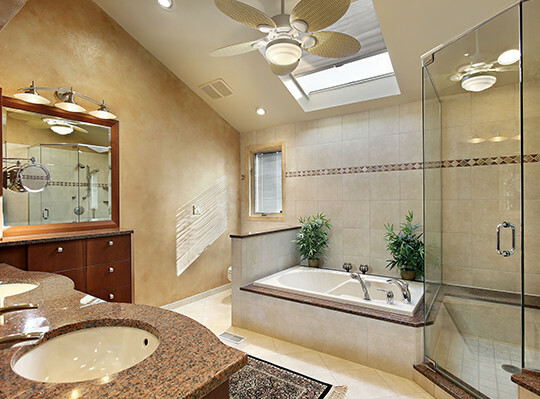 Bathrooms are required to have a minimum ceiling height of 80” over a fixture and at the front a clearance area for fixtures. 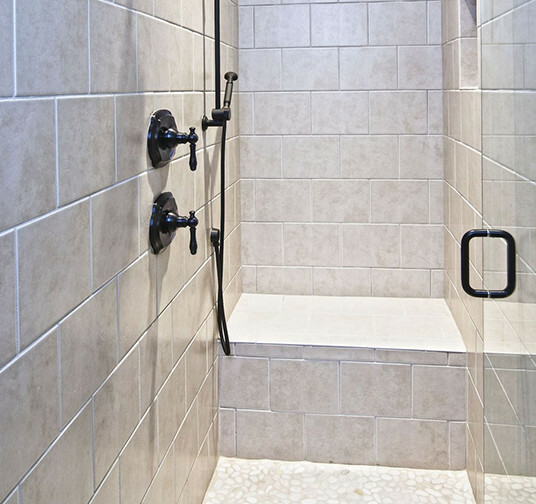 A shower or tub with a shower head must have a minimum floor to ceiling height of 80” above a minimum area of 30”x30” at the shower head. To enjoy the most out of your bathroom and to not collide with other people or objects in the bath, a clear floor space should be allowed of at least 30” from the front edge of all fixtures including the lavatory, toilet, bidet, tub and shower to any opposite bath fixture, wall or obstacle. Specifically, in front of a lavatory, toilet, bidet or tub, a minimum space of 24” must be planned in front of the entrance to the shower. 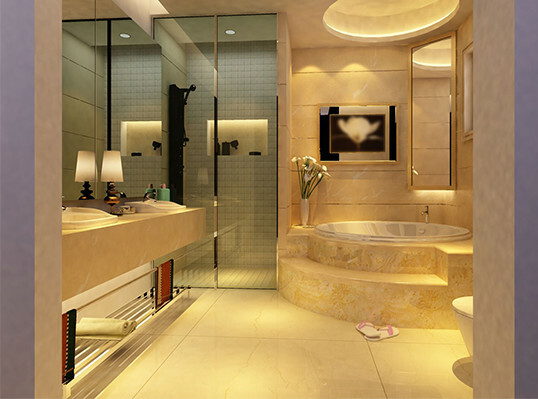 Bathrooms can have a variety of different types of lavatories. For those with single lavatories, the distance between the centerline of the lavatory and a wall or tall object should be at least 20”. The least amount of space from the centerline of the lavatory to a wall is 15”. Te least amount of space between a wall and the edge of a freestanding or wall hung lavatory is 4”.